Xiaomi has filed a patent application for new mobile gaming designs suggesting that the Black Shark 3 could have notch and equip a ToF camera. 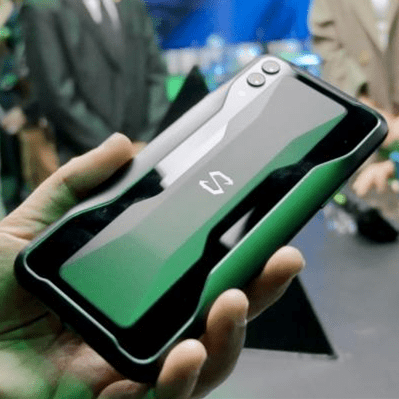 A few months ago was presented the Black Shark 2, the new gaming mobile from Xiaomi, which is the third model that reaches the market developed by the young company Black Shark in association with Xiaomi. And it looks like it’s not going to be the last, because the Chinese company has patented new designs and features that we could see in the next generation of this device. Xiaomi filed the patent application last December with the World Intellectual Property Organization (WIPO), and it was published on March 19. The document consists of 48 sketches in which we can see a total of eight different design proposals. As you can see in the images below, the sketches include proposals that stand out from the look and feel of the Black Shark smartphones that have hit the market so far. On the one hand, we find different notch options, either a wide version or a drop-type version. As far as the back is concerned, the highlight is that some models of the patent have added a third camera, in a module that would retain the vertical configuration. The size of the lens seems to be a ToF camera, specially designed for 3D photography and augmented reality applications, which would make Black Shark 3 a perfect mobile to play AR games. Apart from the more disruptive designs, the patent also has other more conservative alternatives and in the line of Black Shark 2, so we do not know what type of model the company will choose for the next generation of its mobile for video games. Also, since these are patents, we can’t take anything for granted, as there’s nothing to guarantee that Xiaomi will make any of the designs submitted a reality. We will have to wait until there is official information.